A library-quiet cabin. A ride beyond ultra-smooth. Space so expansive, so generous, it offers you more than 30 interior layouts from which to choose. Youâ&#x20AC;&#x2122;ve never experienced anything like it. The new, ultra-long range Falcon 8X. Falcon. The worldâ&#x20AC;&#x2122;s most advanced business jets. Cristóbal Balenciaga pulled the strings of fashion while shrouded in secrecy. Just who was this shaper of style? Tel: 00971 4 364 2876 Fax: 00971 4 369 7494 Reproduction in whole or in part without written permission from HOT Media Publishing is strictly prohibited. 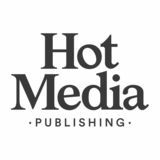 HOT Media Publishing does not accept liability for omissions or errors in AIR. hours non-stop. • Embraer Legacy 600, which can seat 13-15 passengers and fly for up to five hours non-stop. • Gulfstream GIV-SP and G450 Aircraft, which can seat 13-14 passengers and fly for up to eight hours non-stop. • Gulfstream GV, which can seat 16 passengers and fly for up to 12 hours non-stop. • Airbus 318ACJ, which can seat 19-22 passengers and fly for up to eight hours non-stop. NASJET is pleased to offer the following services: • Aircraft Purchase and Sales. We have aircraft available for sale and management, or we can manage the purchase or sale of other aircraft. • Aircraft Acquisition, Acceptance, Completion and Delivery. We can find you the new aircraft that suits your needs, customise it to your liking, monitor the build of the aircraft at the manufacturer, and supervise the final delivery process to ensure a smooth and rewarding private aircraft experience. • Aircraft Management, where we are responsible for your aircraft from all aspects to provide you the highest safety standards, the best service and the most economical management solutions. • Block Charter, where we provide you with charter solutions sold in bulk at discounted rates. • Ad-Hoc Charter, where we can serve your charter needs where and when you need us on demand. With the new GACA Rules and Regulations having come into effect as of 1 March 2016, NASJET has established itself as the first to market our Private and Commercial AOC Services. We welcome the opportunity to serve you and look forward to seeing you on one of our private jets. “As a leading player in Saudi Arabia’s aviation sector, we are committed to catering to the needs of the aviation community as a whole and our decision to offer compliance support comes as part of our continued efforts to offer advisory and a range of specialised services to aircraft owners. To make the transition to the new regulations as smooth as possible, we will also be providing consultations to help owners understand the full scope and impact of the new regulations, as outlined by GACA,” says Yosef F Hafiz, chief commercial officer, NASJET. The new General Authority of Civil Aviation Regulations (GACAR) stipulated that aviation companies in Saudi Arabia submit a comprehensive plan by September 2016, stating their decision to operate their aircraft on either a Private or a Commercial AOC. Failure to comply with the new rules and regulations meant severe consequences, including restrictions on annual landing-permit renewals or refusal to provide a one-time landing permit, which could have lead to the grounding of the owners’ planes. the hackers sent an email demanding that The Interview never see the light of day. Cinema chains then refused to show the film after the hackers threatened a terrorist attack. In all of the destruction there was a silver lining for Franco. When the film was eventually released on video-ondemand platforms it made USD40m, making it by far the most successful film ever released online. Franco and his regular cohort Rogen benefitted from an American public who wanted to show that they refused to put up with tyranny, cyber or otherwise, from a foreign state. Yet, what could have been the last laugh for Franco was somewhat tainted by Pascal failing to save her job at Sony. “I think it’s a shame,” said Franco of the firing. “I mean, everybody was surprised and hopefully, when something like this happens again, we’ll learn from it. In the end it was a real shame that Amy Pascal had to step down because she was an incredible studio head, and I don’t think she should take the blame for what happened.” He doesn’t think he should take the blame, either. As he told David Letterman, “we never felt like we were responsible or doing something wrong”. He also believes that the film would have been a blockbuster hit had it been released in cinemas as planned. It’s an example of a ubiquity (see also his maligned Oscar hosting stint alongside Anne Hathaway in 2011) that has made him a love-him-orloathe-him kind of guy. He has danced between huge blockbusters (Rise Of The Planet Of The Apes and Spider-Man), comedies (Pineapple Express and This Is The End), and critical hits (Milk and 127 Hours, for which he was nominated for the Best Actor Academy Award). And whereas a lot of actors would rest in between times, possibly spending their money, Franco has been making art. As a director he seems to revel in impossible adaptations. His two versions of William Faulkner classics – As I Lay Dying and The Sound And The Fury – infuriated most critics. because “He’s somebody who’s slightly forgotten,” Davies-Strodder says. “Not in fashion – as everyone in the fashion world knows who he is – but in terms of him being a household name, perhaps he is not on the tip of everybody’s tongue. His work is so significant in shaping the development of fashion and you still see his remnants in what people wear everywhere, so it’s important to reassert his importance for a new generation of fashion enthusiasts, where they can see the roots of their raglan sleeves, cocoon totes and much more”. Visitors will encounter an exhibition that is split into three segments, prefaced by an introduction, “because we’re very aware that he’s perhaps not the familiar name that someone such as Dior is, so we’re explaining his Spanish background and heritage.” The trio of exhibition sections look at his front of house, workroom and, lastly, his legacy – bringing the exhibition into the present day rather than being a mere meander through sartorial archives. The front of house segment “imparts the experience of being a client at Balenciaga, and attending fashion shows and sittings. Within this portion we have a case set up as a catwalk with all the iconic pieces of the 50s and 60s inside. The highlight is undoubtedly the Envelope dress from 1967, which you can see from its four point design how abstract his approach was by this time”. though, we have found that those who care about the product and are sensitive about their bespoke creation will do what they can and will cancel a meeting or trip just to get their suit attended to. There is also the flexible option, of course, to meet them when they are in Paris or London.” Beyond the process itself, what also rouses Rebahi is the emotional resonance behind bespoke. The trio discuss that understanding of the skill is on the wane, and listening to them it dawns on you that Berluti is one of the bastions maintaining a commonly misunderstood art. “I think people are beginning to lose a grasp on the meaning of bespoke,” Rebahi muses. “Many people are calling what they do ‘bespoke’, but they are simply modifying existing silhouettes. At Berluti we make a suit without any machines, by hand – expertly overseeing every step from A-Z for each customer.” It means that once a suitor indulges in the Berluti bespoke journey, his bar of expectation is raised. “We earn the respect of the customer, as they know everything is made by hand as tradition – you see our artisans working on the table at the atelier as per the methods of 200 years ago,” explains Rebahi. that tie people together when the chips are really down. The most influential people to me are those I come home to – my wife Tamsin and our children, Lula and Blake. Tamsin is the creative genius behind our De Roemer brand and is extraordinarily talented. They all inspire me to be better. The last 30 years has taught me that you have to ‘believe’. We’re meant to excel, and when one realises how capable we are and how adaptive the human spirit is, anything is achievable. The more heart we put into things that matter, the luckier we become. I’ve served as an officer in the British Army, represented Britain at sailing, and led expeditions all over the world – but I’m always looking at how these lessons can be made relevant and applied within the commercial space. I strive to be my best, to learn, to improve, to have fun and to make a difference, and I apply this same philosophy to running the company – on a quest to design beautiful pieces that are unique, relevant and exciting. I am a huge believer in living life to the fullest, and love this poignant quote from Goethe – “Whatever you can do, or dream you can, begin it. Boldness has genius, power and magic in it”.